BATOURI, Cameroon – Amina was married when she was just a child. Soon after, she became pregnant, and, at only 13 years old, she went into labour. As is the case with many girls her age, Amina’s body was not mature enough to bear a child, and she suffered an obstructed labour, an excruciating condition that could have killed her. 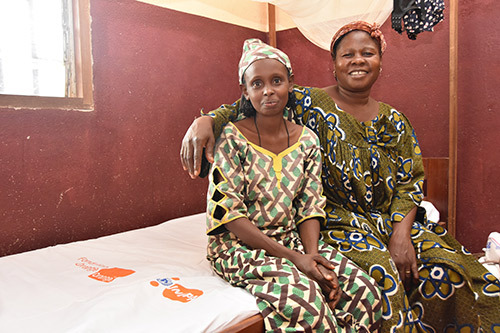 Fortunately, both she and her baby survived the childbirth, but the ordeal left Amina with a devastating injury known as an obstetric fistula, a hole in the birth canal that leaves women incontinent and vulnerable to a raft of medical problems. This condition afflicts the world’s most vulnerable women and girls, and it makes their lives immeasurably harder: Many are abandoned by their families and ostracized by their communities. 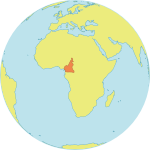 More than 20,000 women are estimated to be living with obstetric fistula in Cameroon, and some 2,000 new cases occur every year. Yet it is almost entirely preventable. In fact, it has been essentially eliminated in industrialized countries through the availability of emergency obstetric care. A 10-day campaign held in early July – a collaboration between UNFPA, the health ministry, the Orange Foundation – reached out to survivors with free repair surgeries, training for health workers, and information to help community members make sure fistula doesn’t happen in the first place. Amina, now 20, was one of 33 women to receive free fistula repair surgeries during the campaign, which brought four Cameroonian specialists to Batouri, in the eastern part of the country. The doctors conducted three to four operations per day, followed by post-operation observation lasting 14-21 days. 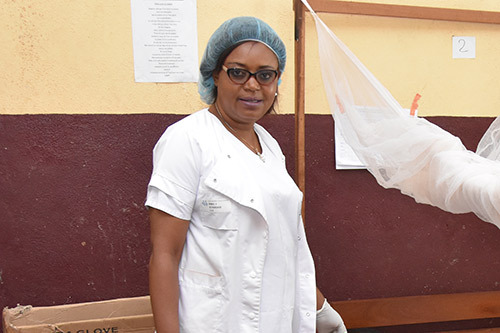 It was a rare opportunity for women in the East Region, who otherwise would have to travel up to 700 kilometres through rough terrain to reach the N’gaoundéré fistula repair centre, which was established by UNFPA and the MTN Foundation in 2013. But many more women must be reached, experts acknowledge. “It would be illusory to think that the current rate of repairs can reduce the pool of women with fistula who are waiting for surgery,” said Barbara Sow, UNFPA’s Representative in Cameroon. For greater impact, UNFPA and its partners are working to increase the number of health centres able to deliver care to fistula survivors. This is why the doctors participating in the 10-day campaign also trained health workers at the Catholic Hospital of Batouri, including three physicians, two anaesthesiologists and 10 nurses. Now that they have a qualified team in the region, women will no longer need to travel to N’gaoundéré for care. But fistula survivors also have needs beyond surgery. Because of their exclusion by the community, most women have been forced to abandon their jobs and livelihoods. "When I had fistula, people wouldn't buy the food I was selling because of the bad odour of urine and the leaking," recalled one woman who received the repair surgery. UNFPA and Orange will provide 60 fistula survivors with seed funding for small businesses and other income-generating activities. And UNFPA is working to spread the word in communities that fistula can be prevented from happening in the first place, by ensuring women give birth under the care of a skilled birth attendant – such as a midwife, nurse or doctor – who can respond should complications arise. It is especially important to get these messages to men, “since they hold decision-making power over their wives,” said Dr. Sow. UNFPA-trained advocates are speaking about the issue in so-called husband’s clubs, groups of men who meet regularly to discuss family matters. And the message seems to be having an effect, experts say. “Prevention is better than the cure,” Dr. Sow said.